Walk into the craft supply store’s scrapbooking section – or better yet, a scrapbook supply store (if you’re lucky enough to have one!) and you can become overwhelmed by all the options pretty quickly. So cute! I think I could make that! 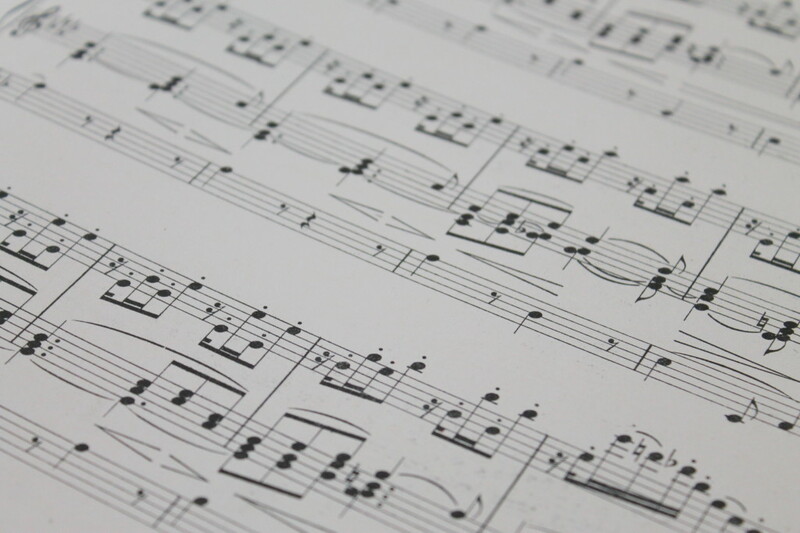 Wow, that paper looks just like dictionary pages, French/English dictionary, sheet music, etc…. Frankly, I would buy every single piece of flowery and steampunky (I know that doesn’t make sense at all together, but that is me) paper they have. I have been know to purchase books of scrapbook paper without any idea in mind of what I am going to do with it. However, for most every other supply – I make them. Photocopy children’s artwork for a great background page. Use one of your own photos – but edit it or copy it so it’s black and white or faded and use it for a background. Put wrapping paper from your graduation, birthday, wedding, etc. on card stock to make it sturdy. Maps, especially for vacation or travel layouts. Use maps of where you were. Newspaper – especially of a particular event. Any paper that’s special to you, really! I know what you are thinking. This list isn’t acid free. I understand. You have 2 options: Make books that aren’t meant to last forever OR try Krylon Make it Acid Free! This also allows you to keep your suveniors, ticket stubs, maps, pamphlets safe in your scrapbook. Use any little bits of paper you get of days/places you want to remember: Ticket stubs, receipts, paper menus, wrist bands. Those little metal museum tags you get when you visit a museum. 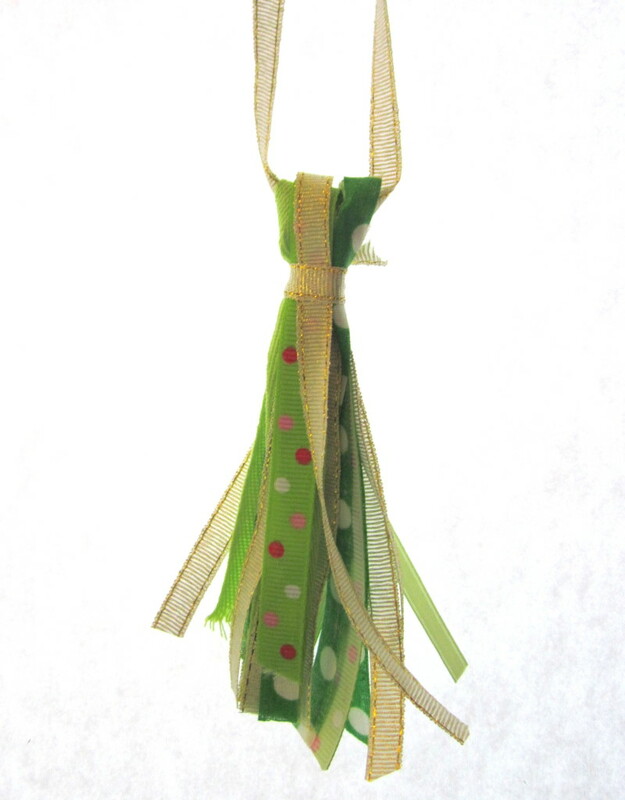 Look for things like ribbon and lace either at yard sales (I got a lifetime supply of beautiful lace at a yard sale), on sale at fabric stores or even at craft stores – get it from NOT the scrapbook section because you’ll get more of it for significantly less. I paint backgrounds in my scrapbooks quite often. You could use acrylic or watercolors. You can use any of the papers I listed above on a smaller scale to embellish your layouts. 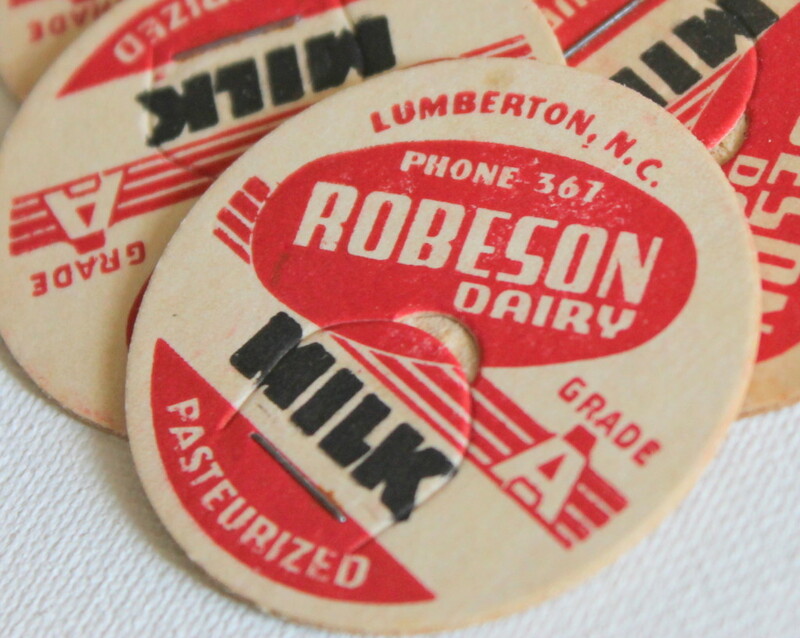 Strange things you find such as I was given a huge collection of unused vintage cardboard milk tags – I will either use as they are, or cover them up and make them even cuter! Really any craft supply you may have. Anything that is flat (ish) and will either compliment your layout or is an important memory you want to preserve. Once you decide to use alternative materials, you start to find ideas everywhere! Just look around! 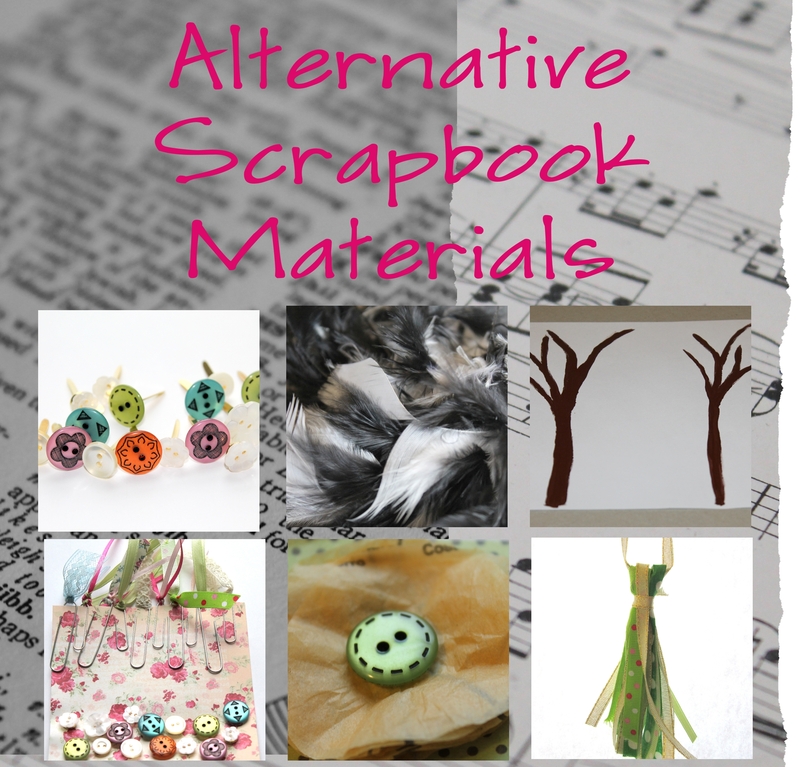 Do you use any materials that are not “normally” considered scrapbooking supplies in your scrapbook layouts? This entry was posted in Uncategorized and tagged alternative, alternative scrapbook materials, background papers, creativity, embellishment, emerging creatively, emerging creatively tutorials, kimberlie Kohler, scrapbook by Kimberlie. Bookmark the permalink.